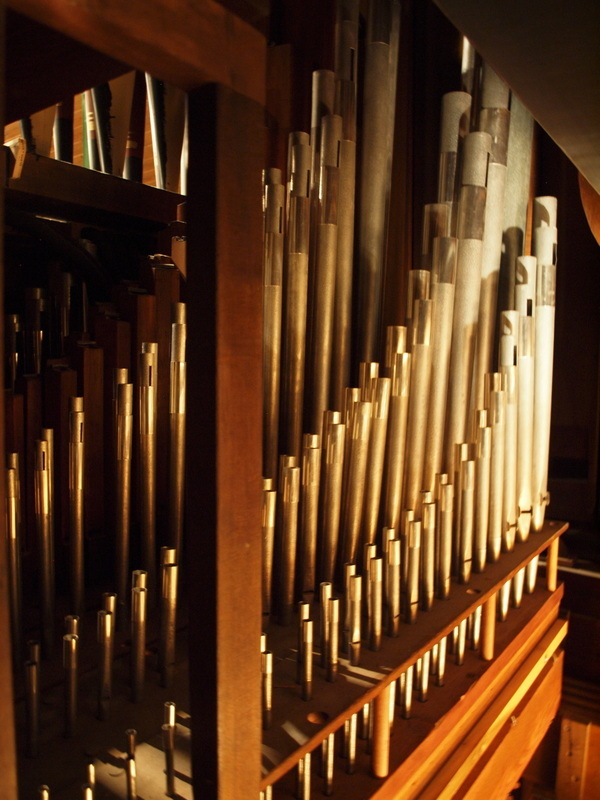 Praise Him with stringed instruments and pipes. 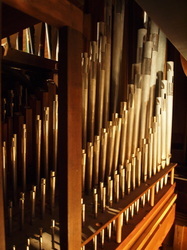 Located in the Cawker City United Methodist Church, the Henry Pilcher's Sons organ is the oldest church organ in the State of Kansas. 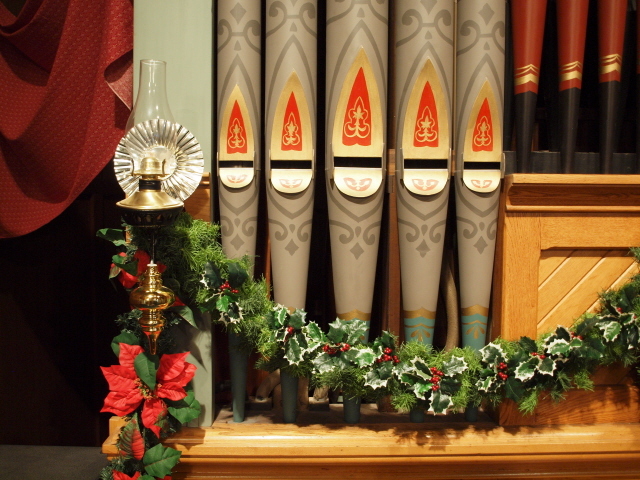 Built in 1886 in Louisville, Kentucky, the organ's first home was the Congregational Church in Kinsley, Kansas. 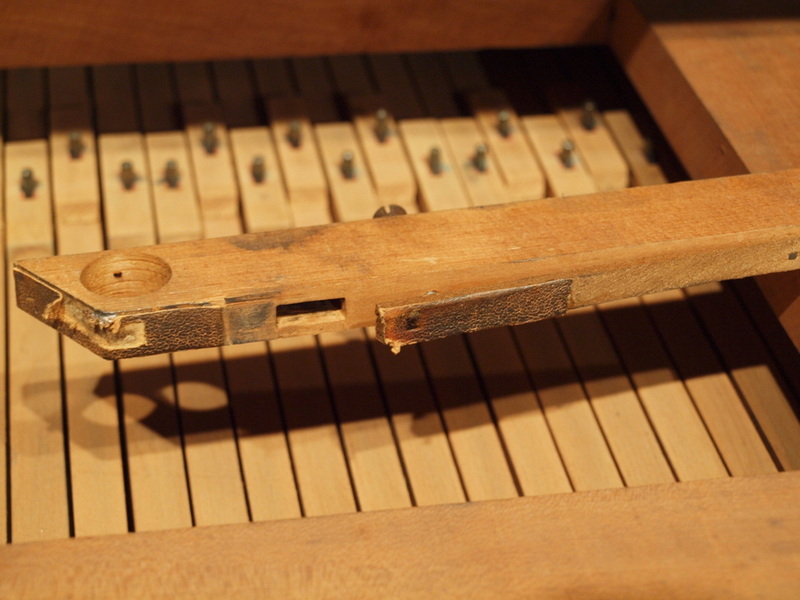 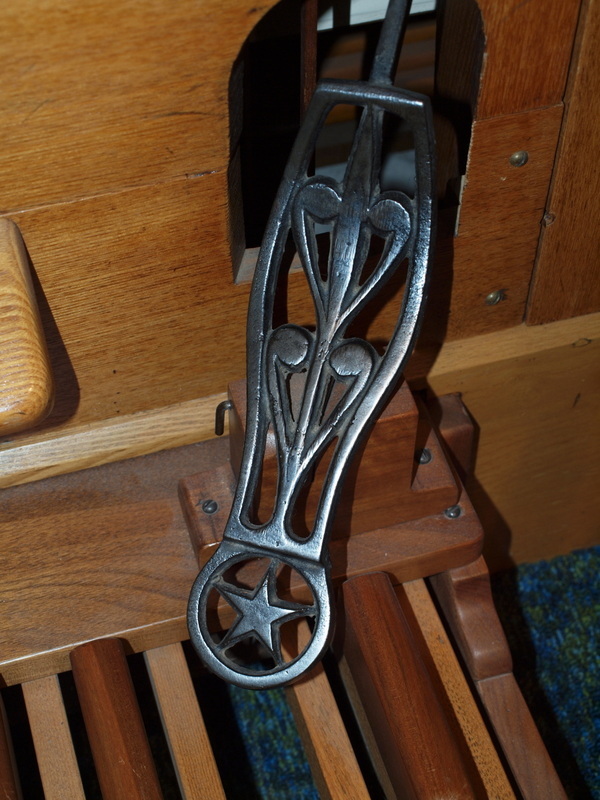 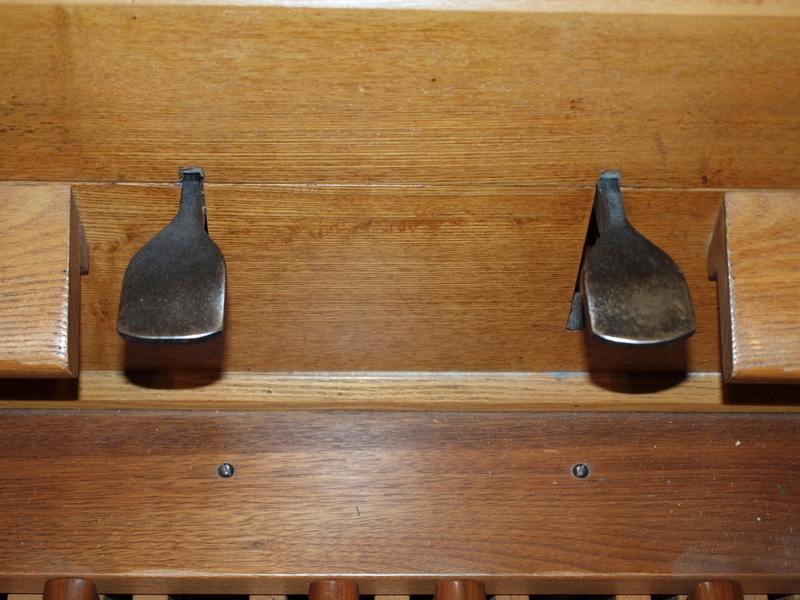 In 1931, the old tracker (or mechanical action organ) was replaced by a more "modern" instrument and the Pilcher was sold to the Methodist Church in Cawker City. 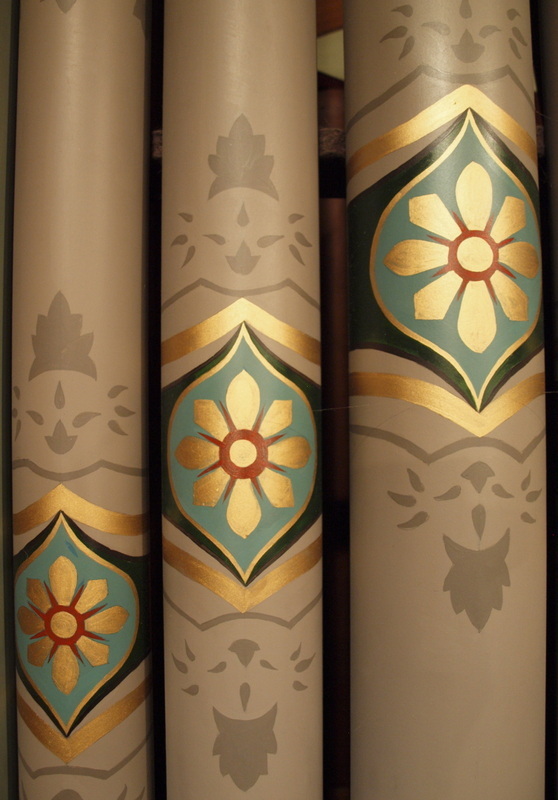 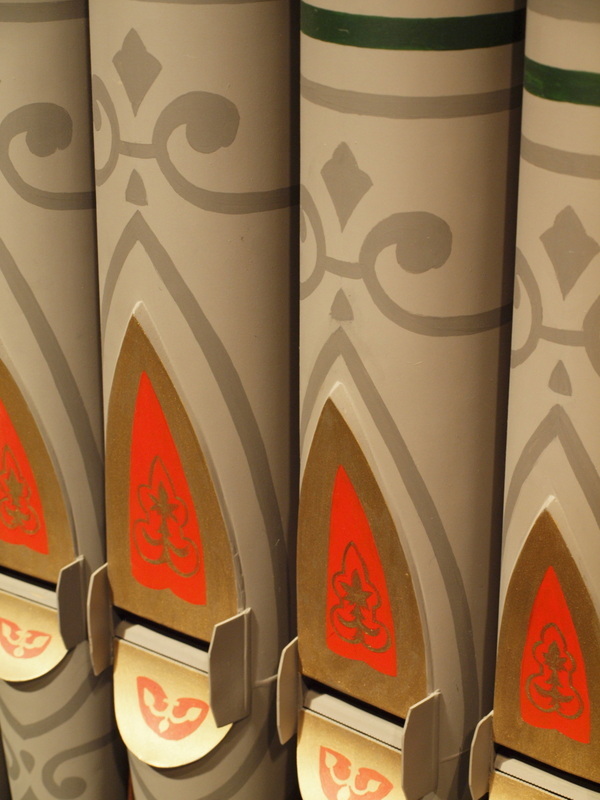 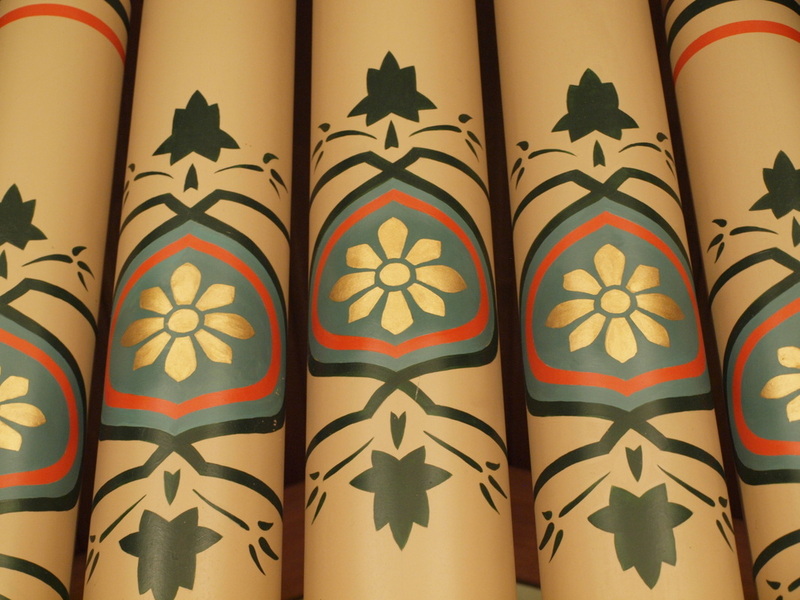 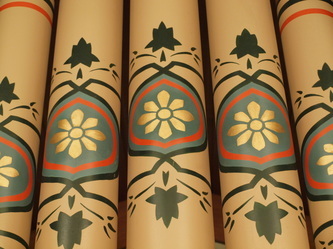 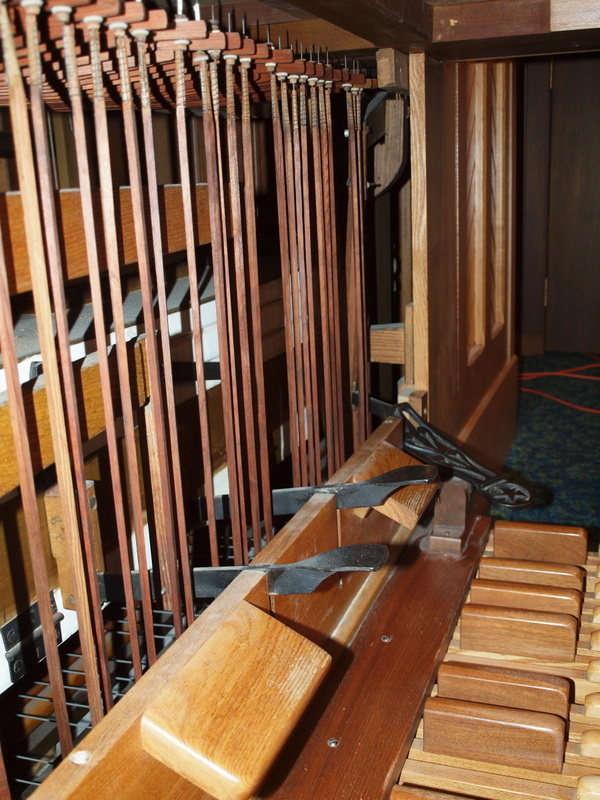 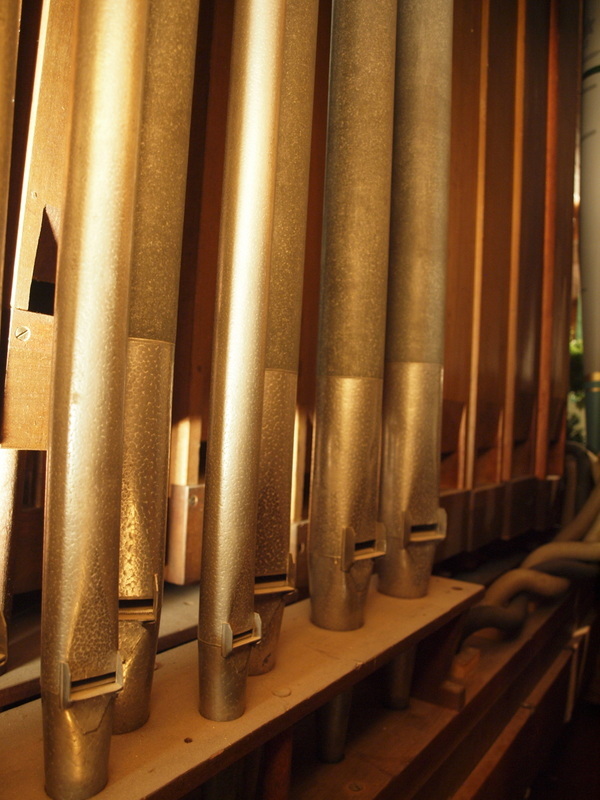 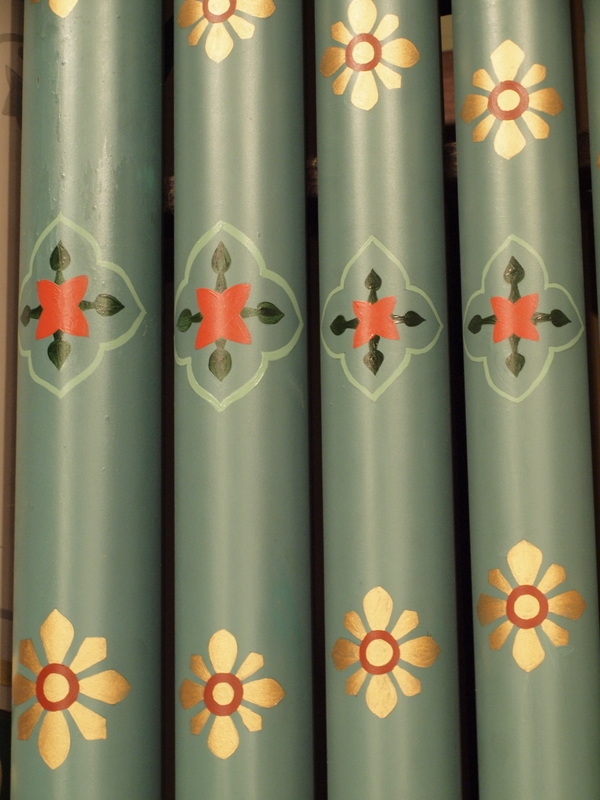 As the Methodist congregation transitioned into a new building, the organ was restored by the Reuter Organ Co. of Lawrence, Kansas and then installed in the new sanctuary in 1976. 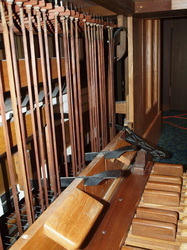 The organ continues to provide faithful service to the glory of God and is a source of pride for the congregation and community. 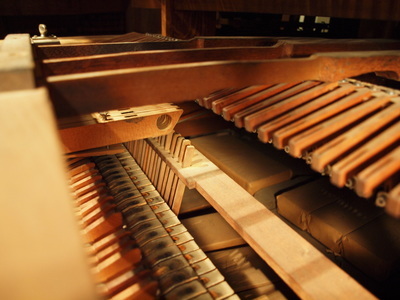 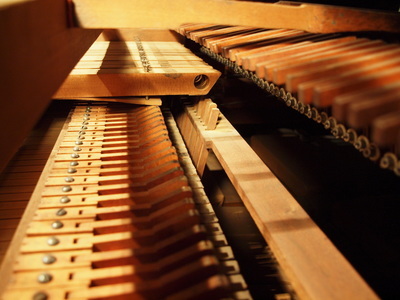 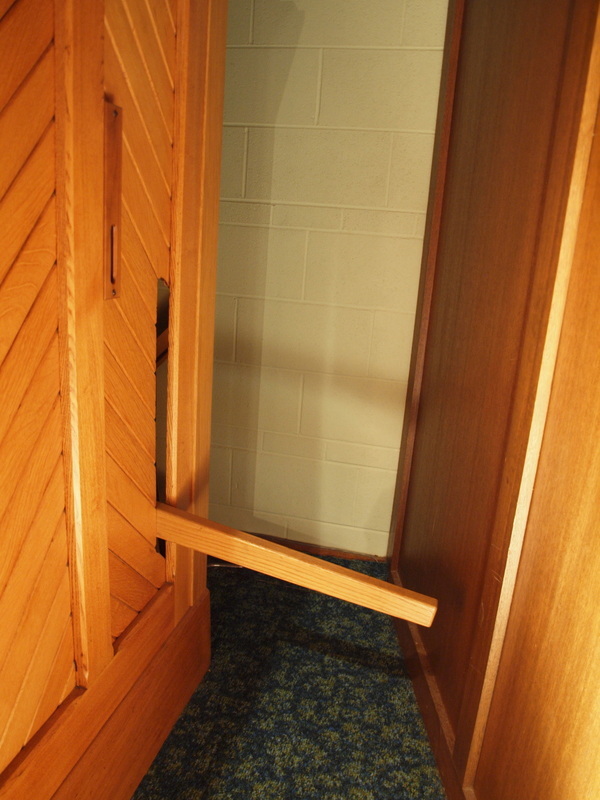 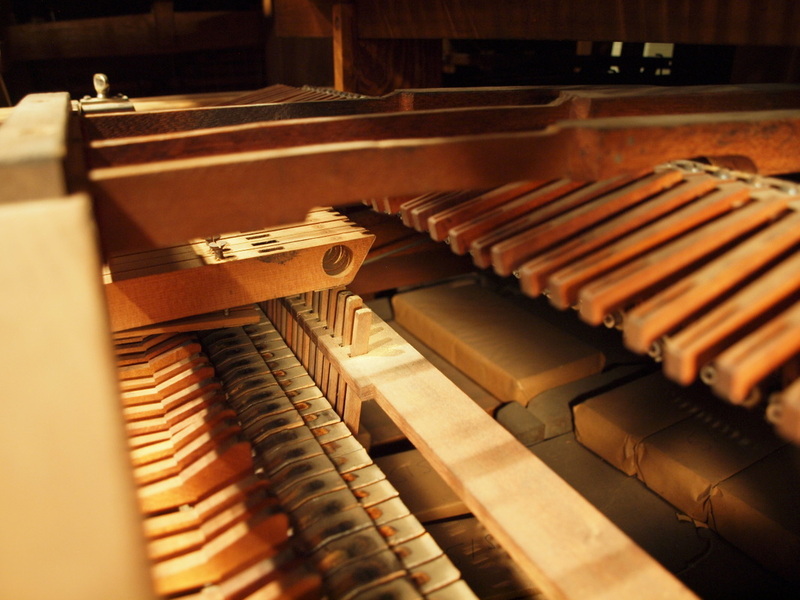 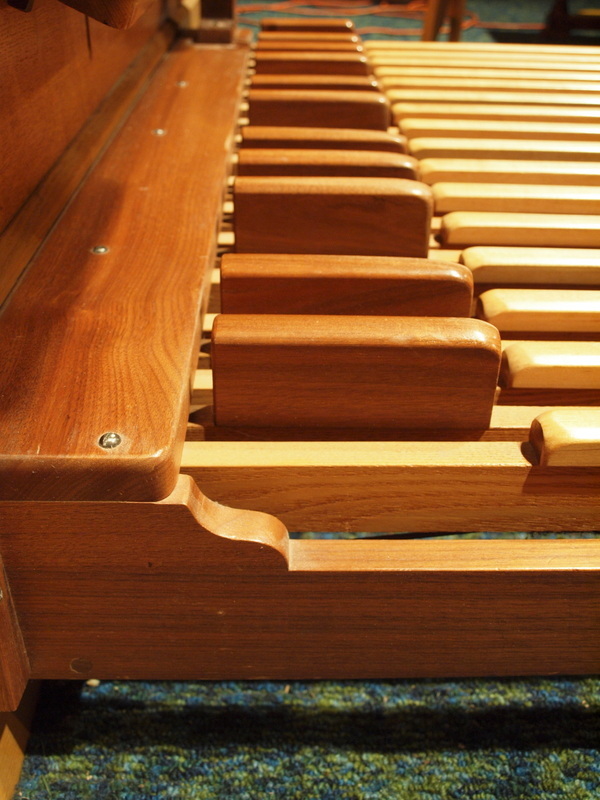 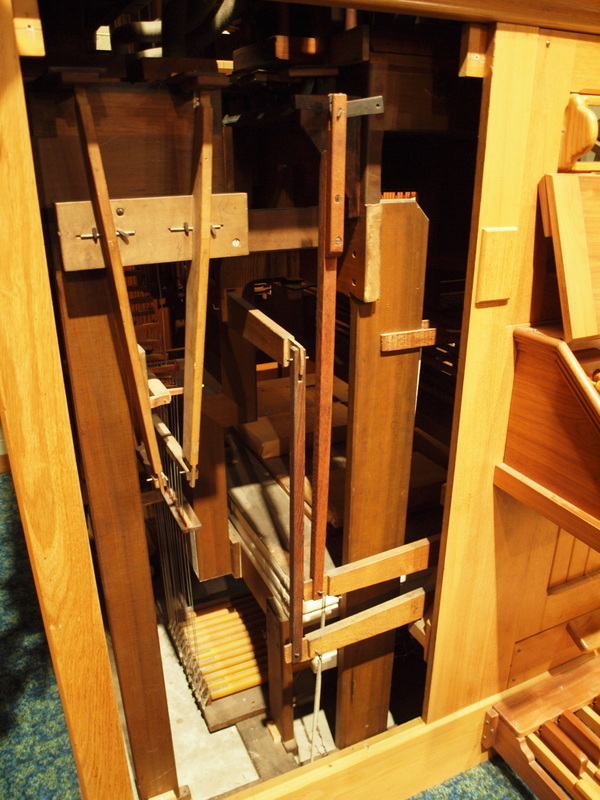 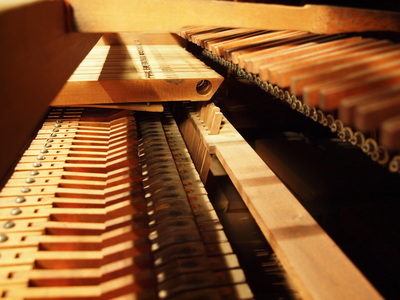 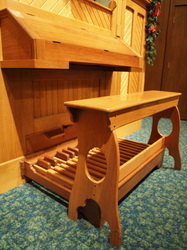 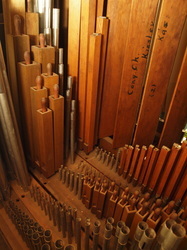 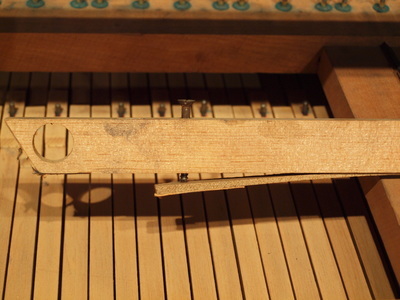 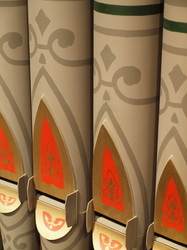 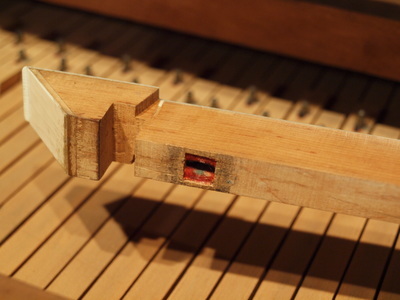 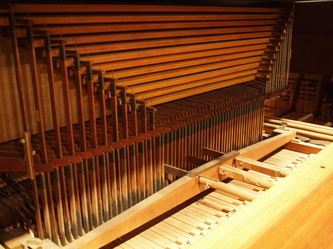 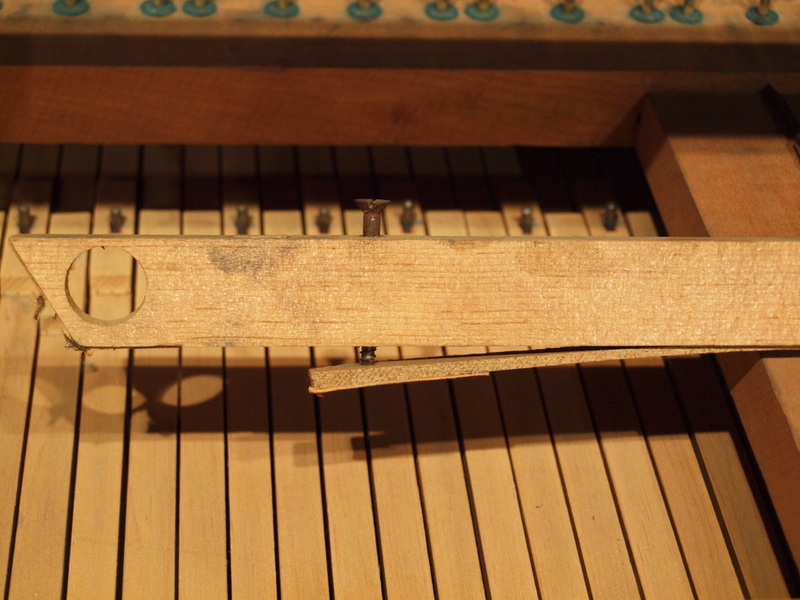 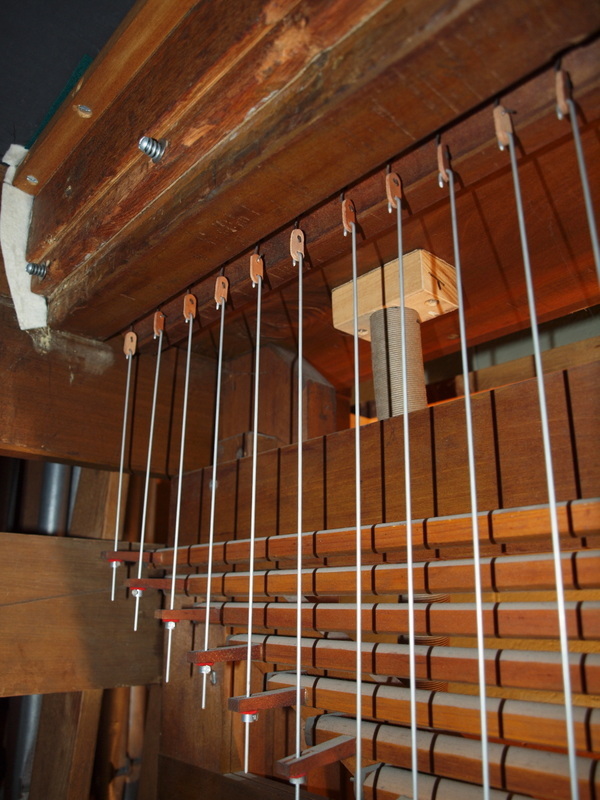 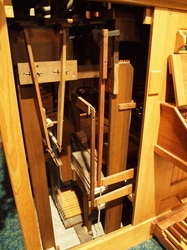 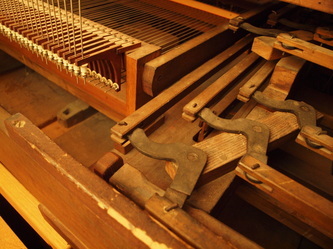 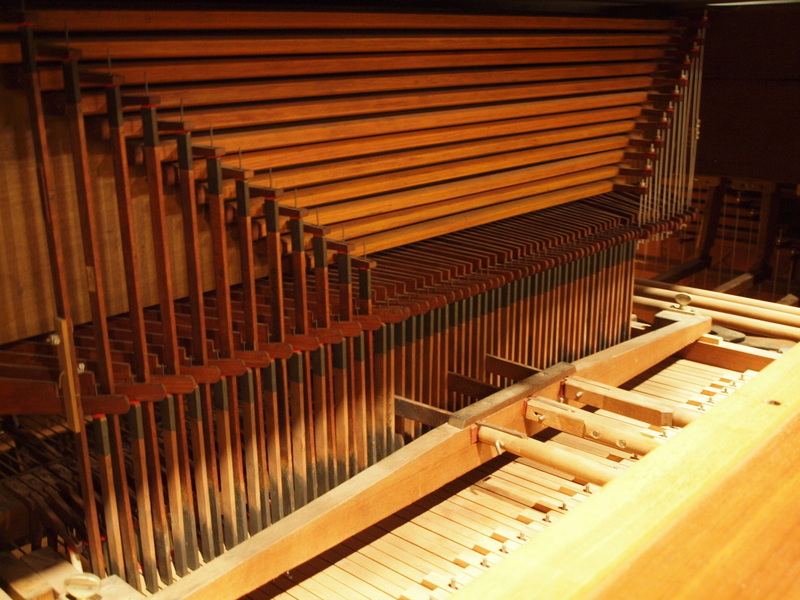 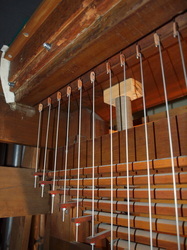 Although this organ was built in America, a trained organist will immediately recognize a number of typical English features: English stop names such as Diapason and Dulcian, a swell division enclosed in a box with a louvered opening, the use of 12 note common bass stops, as well as the loud and soft combination pedals. 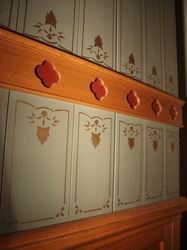 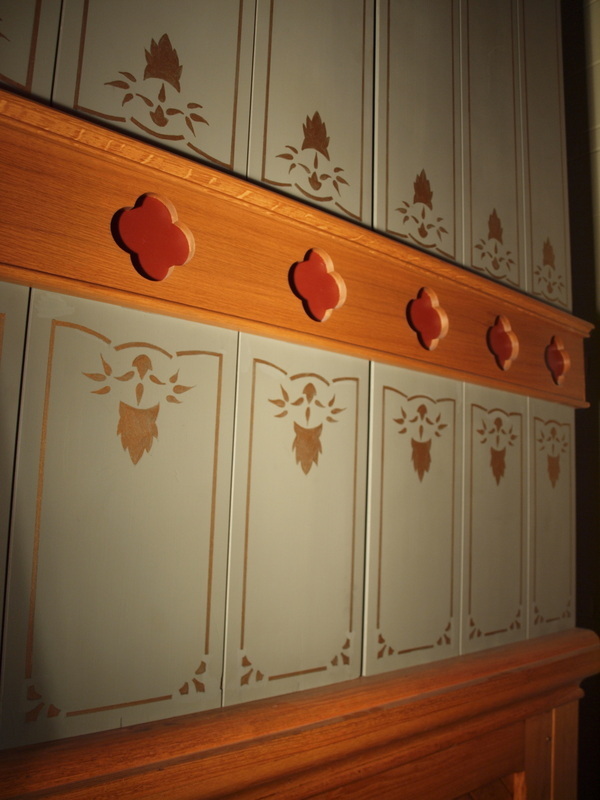 These and other English features were brought to this country by Henry Pilcher and were eventually passed on to his sons and grandsons. 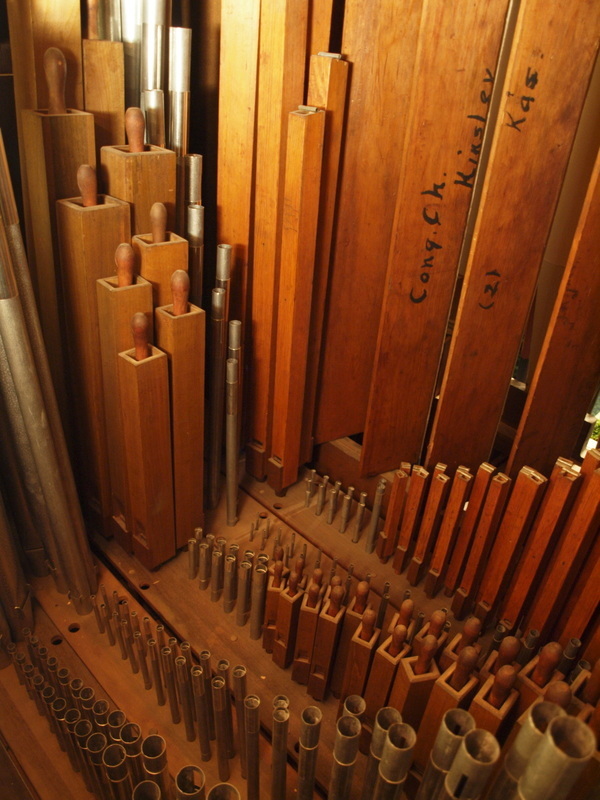 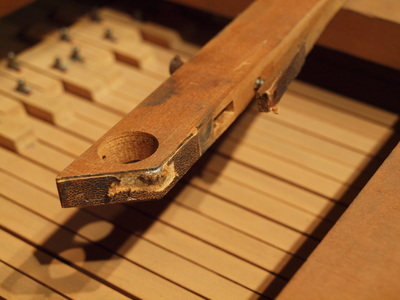 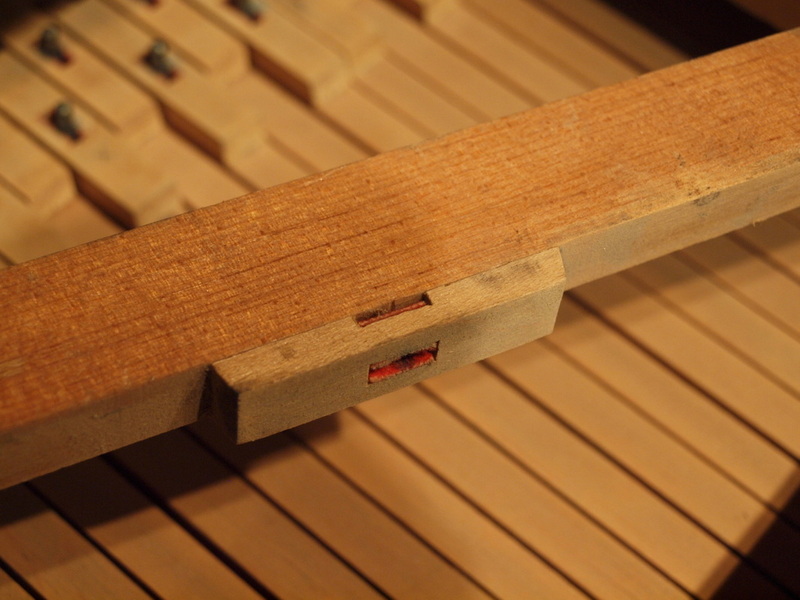 To learn more about the history of the organ and the organ builder, explore the tabs at the top of the page. 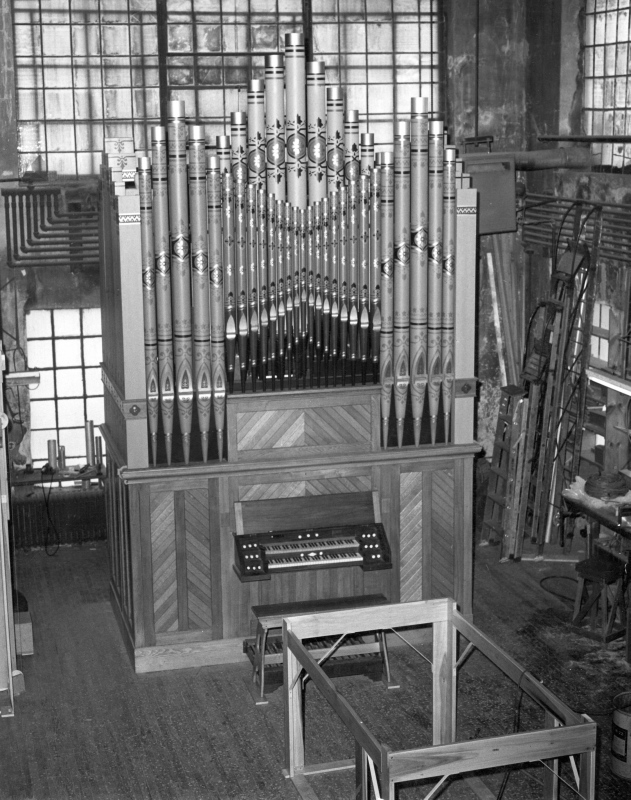 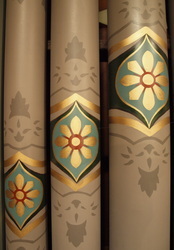 The Pilcher organ in the assembly room as it was being restored by the Reuter Organ Co. in Lawrence, Kansas.